Augmented reality (AR) and virtual reality (VR) are quickly changing the face of ecommerce. These new technologies now take the most severe pain points of shopping, both online and in brick-and-mortar locations, and transform them into attractive new selling points perfect for the wary consumer. For online shopping, AR and VR have their own benefits. Many customers abandon their shopping carts before checking out — at a rate of 77.24 percent — according to recent statistics. In a world where ecommerce is accessible and affordable, online shops need to add an extra wow factor to draw customers in and convince them to buy. AR and VR can provide those wow factors. From interactive dressing rooms to online sales agents and more, AR and VR capabilities are truly the future of online shopping. How can your company implement these innovative features into your website? Many people think AR and VR are interchangeable. This is not the case — both forms of technology have different features and foundations that make them unique and suitable for different ecommerce purposes. Augmented reality uses technology to impose images, sounds, text, and other forms of information on the world we interact with daily. Pokémon GO is an example of a mobile app that uses augmented reality – when you play the game to catch one of the elusive Pokémon creatures your phone camera captures your current surroundings. The app superimposes an animated figure of the Pokémon you’re trying to catch on top of your current surroundings. When you look through your phone screen, it kind of looks like there’s a Pokémon in the room with you. Kind of cool, right? Augmented reality is everywhere – from movie screens to laboratories right down to the palms of our hands. This futuristic technology is quickly changing how we – and our technologies – interact with the world. It is already making changes to how we shop online. Not all ventures involving augmented reality are successful, however. Google’s infamous Google Glass project launched in 2013, aimed at turning augmented reality into wearable technology. The project projected text, images, videos, voice commands, and other sources of information onto the lens of a pair of glasses. Google ultimately pulled Google Glass at the end of 2015. Virtual reality, on the other hand, does not involve the use of our current surroundings. Virtual reality technology uses our five senses (sight, smell, hear, touch, and taste) to emulate our surroundings using many different technologies. Not all virtual reality experiences employ all five senses, but the best ones do take all into account. The most popular form of virtual reality technology is the use of VR headsets in gaming and to watch videos. These headsets use a Point-of-View video to immerse a player in a setting. The popular Oculus Rift VR headset has a number of specially designed games to accompany it, including Star Trek: Bridge Crew and Arizona Sunshine. Star Trek allows players to immerse themselves in the world of the popular television series, while Sunshine is one of the only fully-fledged first-person shooters available in the virtual reality format. These games and many other virtual reality technologies use a three-dimensional, computer-generated environment to flesh out the experience. You can use AR to visualize your products onto your customer’s surroundings. If they want to see how your lamp would look on their desk or how a new couch color would match their living room walls, having AR capabilities on your website could push them to make the right purchasing decision. If you sell clothes, makeup, jewelry, or any other item that customers would want to see on themselves, you can launch an AR-powered application so customers can try on your products before visiting a store or making a purchase. This application can even convince consumers to fall in love with a product they’ve never heard of before, pushing them to buy. You can use AR to provide product information in context. If you just list descriptive details on your website without context, the actual benefits of the product can go over your customers’ heads. By showing them a product in their hands using AR while providing information at the same time, they can discover how impressive your product actually is. If you have AR technology in your budget, you can use it to your advantage. The longer people spend on your site interacting with your AR technology, the more likely you are to make a sale. Also, Google boosts pages’ SEO rankings based on how long a customer stays on the site – but the search engine also penalizes you if they leave. Many visitors to your website will be surfing the web on their smartphones, rather than your desktop computers. If your AR features do not work on their devices or cause your load time to be too high, they can leave your page, and you could see ranking penalties. Make sure your AR capabilities are mobile-compatible as well as desktop-compatible. If you can’t make the tech-friendly for mobile users, consider disabling it on your mobile site. VR also provides significant benefits to the online shopping experience. From testing new products to highlighting your showrooms, customers will appreciate the convenience of viewing your products without having to leave their homes. Seeing a product up close and interacting with it through VR will have a significant impact on the customer’s decision to buy. You can create virtual showrooms to highlight specific products and features. These three-dimensional renderings will draw your customers into the products’ unique capabilities and give them a chance to “test” the products out before making a purchasing decision. Videos already increase a customer’s probability of buying the product – why not go one step further? You can also create virtual versions of your stores so customers can visit, peruse, and make purchasing decisions on your products. If the customers can see the wide variety of products you offer and find something, they like without leaving the house, this gives them more of an incentive to visit a physical location. VR capabilities can significantly cut down on the hassle of shopping, especially for those who do not like interacting with pushy sales staff. For example, car dealerships can use a knowledgeable guide and VR technology to provide information to customers on different vehicles, enable test drives, and explore parts of the car without interacting with sales staff. Just like AR technology, make sure that your VR technology is mobile-compatible for on-the-go users. You don’t want to receive any pesky SEO penalties or turn customers off to your site. With these technologies and more, you can boost your selling power significantly and stand out from the competition. 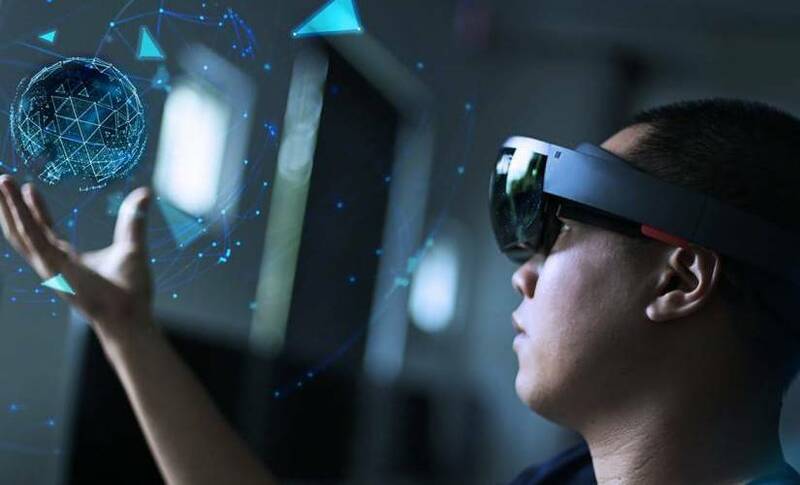 VR and AR capabilities are perfect for companies who want to cultivate an innovative brand image and are looking for the next step beyond standard websites and mobile applications.